Join us in Maui, Hawaii for a deeply nourishing journey into yoga as a way of life. Explore yoga poses, yoga philosophy, breathing techniques (pranayama), guided meditation, a gentle, nourishing cleanse, and the wonders of this gorgeous tropical island. The word retreat signifies “a quiet, or secluded place in which one can rest and relax,” as well as the action of withdrawing to this relaxing place. Samana Wellness retreats guide you to rediscover the quiet, relaxing place that exists within yourself and to blaze a clear pathway that will lead you to your own inner sanctuary anytime and anywhere you feel the need. Not only do you get to experience the joy of living yoga on Maui, you also get to take the deep serenity you cultivate here home with you to utilize for the rest of your life. Delight your taste buds while treating your body to a gentle, nourishing Ayurvedic Kitchari cleanse. Like yoga, Ayurveda comes from ancient India, and consists of a wide variety of techniques and approaches to maintain health and improve quality of life. 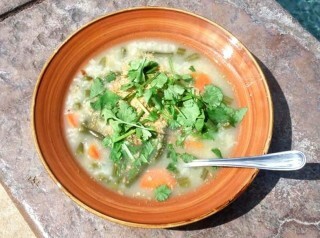 Kitchari is the essence of Ayurvedic nutritional healing. This simple way of eating is used to to detoxify every cell, rejuvenate every organ, and restore digestion to its optimal function. Kitchari is a delicious mixture of a whole grain (usually rice) and a legume (usually split mung dal) cooked with different vegetables, spices, and ghee. The recipes, which will be provided to you, are each geared toward bringing balance to a specific organ or body system. In Samana Wellness Yoga Retreats we focus on improving overall health from the inside out by optimizing digestive, pancreatic, liver, gallbladder, kidney, spleen, and immune function. Common effects of kitchadi cleansing include emotional stability, weight loss or gain depending on your body’s needs, and a renewed sense of wellbeing. Samana Wellness Yoga classes are designed for all levels, and include specific modifications and variations based students’ needs. A variety of yoga props are available to maximize safety and support natural bodily alignment in each pose. Special emphasis is placed on the breath as a vehicle to lasting health and vitality. When your movements coincide with your breath, your body, mind, and spirit work in unison. This is the essence of yoga, and as we practice increasing our awareness both on and off our yoga mats, we find that our sense of inner peace grows, and permeates our lives. As we begin to put the philosophy of yoga into action, we become less violent towards ourselves and others (ahimsa), we become more honest with ourselves and others (satya), we share, taking only what we need (aparigraha), we respect what belongs to others (astyea), and we are conscious of how we use our energy (bramacharya). As our own authenticity grows, we become increasingly aware of how each of our actions really does have an effect. Ghandi said, “We must be the change we want to see in the world.” Samana Wellness Yoga Retreats are designed to give you the tools you need to take your life in the direction you want to go. For some, this transformation toward greater authenticity happens quickly and easily, for others, it takes more time. Whatever your pace, coming to Hawaii for a healing, rejuvenating, fun yoga adventure is a great step in the direction of Whole Life Health. Reserve your spot in a Hawaii Yoga Retreat today!